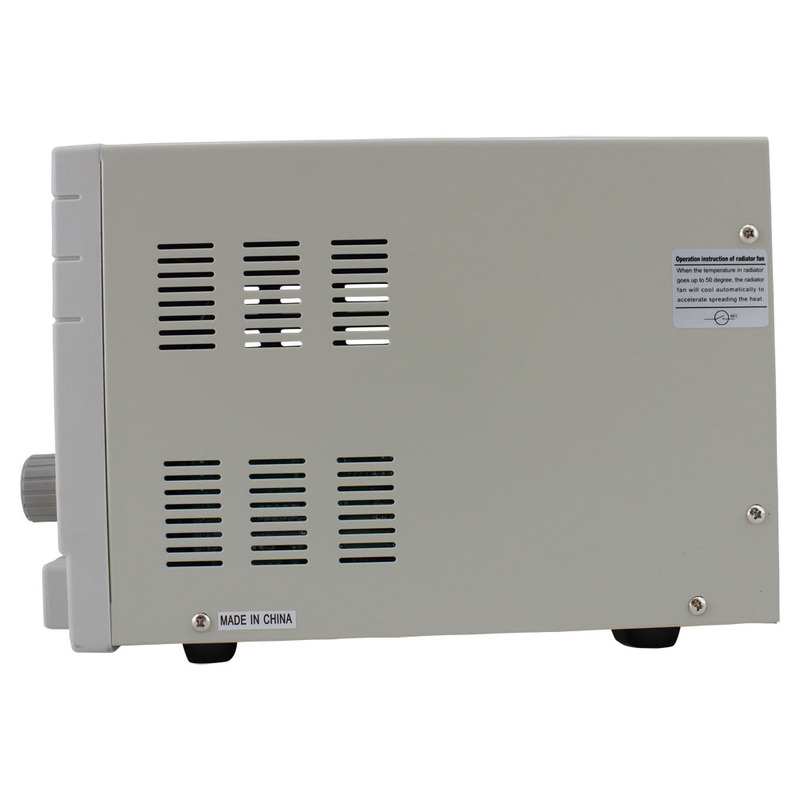 The CSI3003X-5 is a fully regulated, dual output benchtop switching power supply with adjustable and fixed outputs. 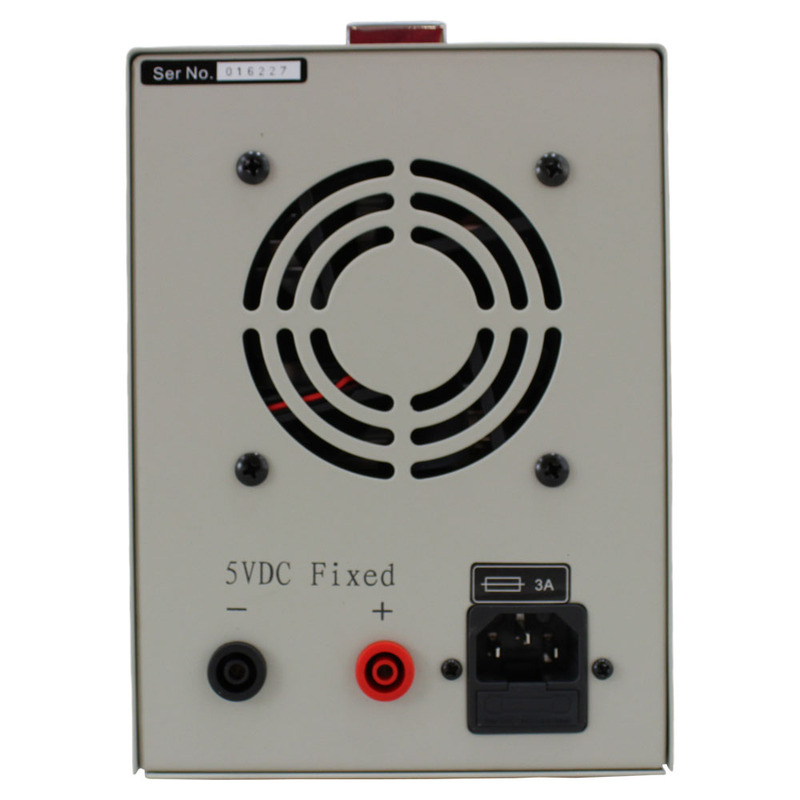 This high stability dual output switch mode bench power supply features variable 30V and 3.0 amp outputs on the front panel and a fixed 5V and 1.0 amp output on the rear panel. 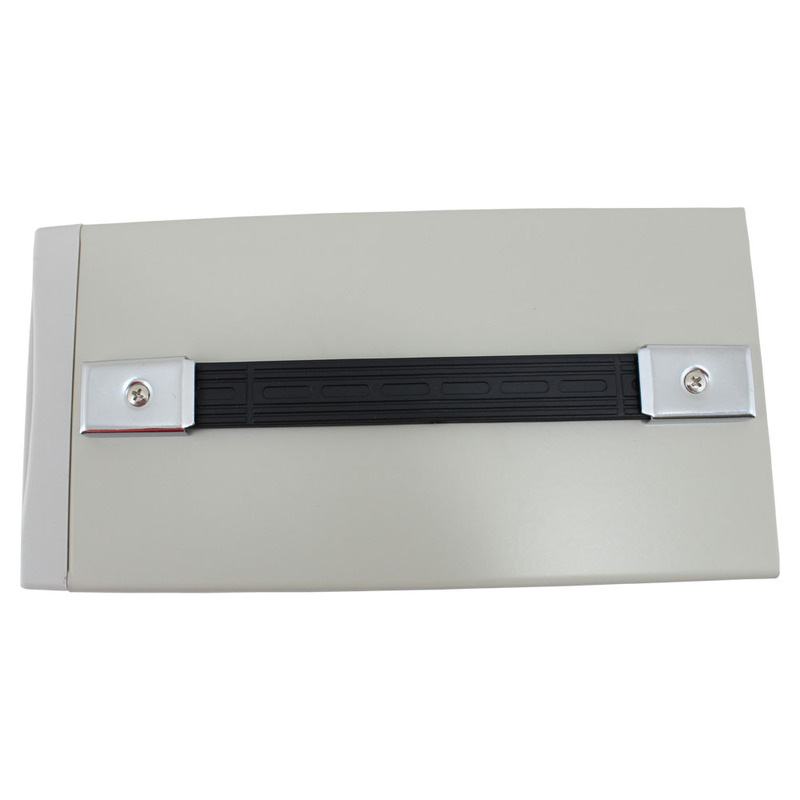 The variable outputs on the front of the CSI3003X-5 offer user selectable constant current and constant voltage modes, as well as fine control of voltage via a control knob. Front panel voltage and current output is displayed on a large, clear LCD read out. 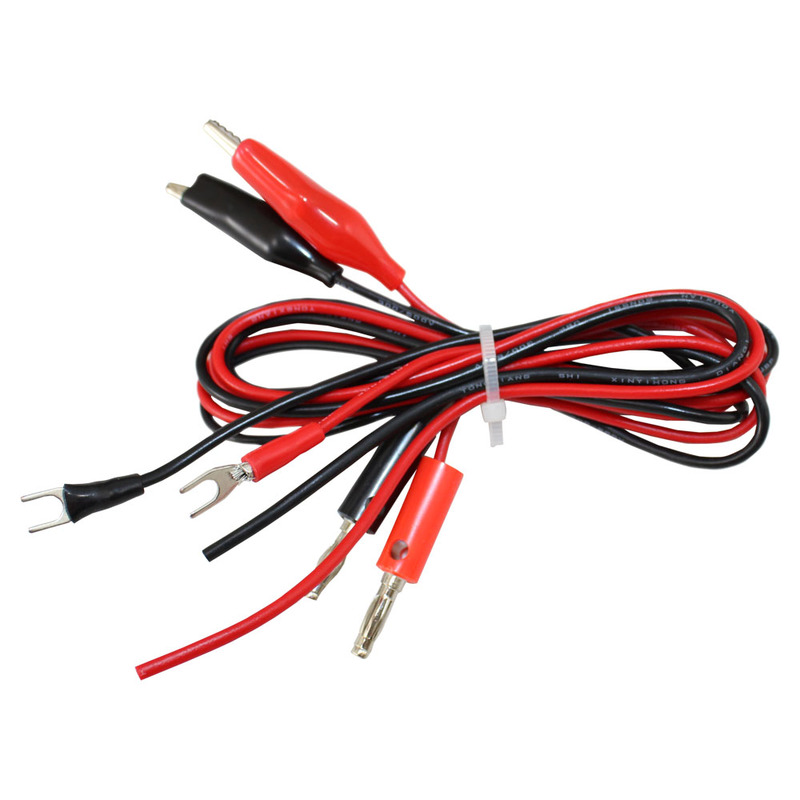 Short circuit and current limiting protection is provided. SMT PC boards and a built-in cooling fan help ensure reliable performance and long life.The perfect choice for lab and educational use. 1A, 5VDC fixed ouput is on the rear panel. 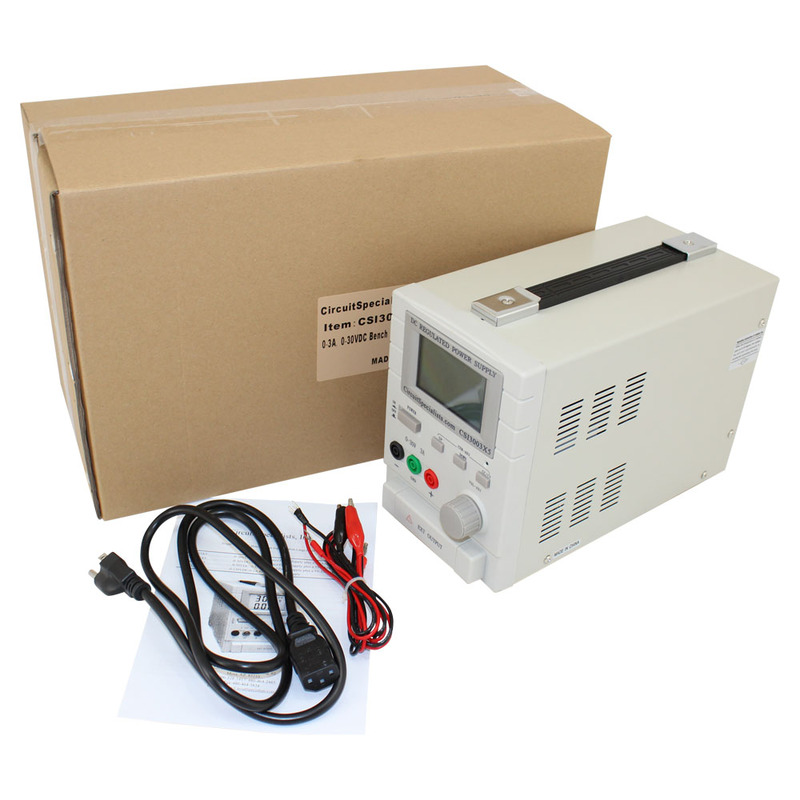 This is a highly reliable precise benchtop power supply comparable to bench power supplies costing twice as much. 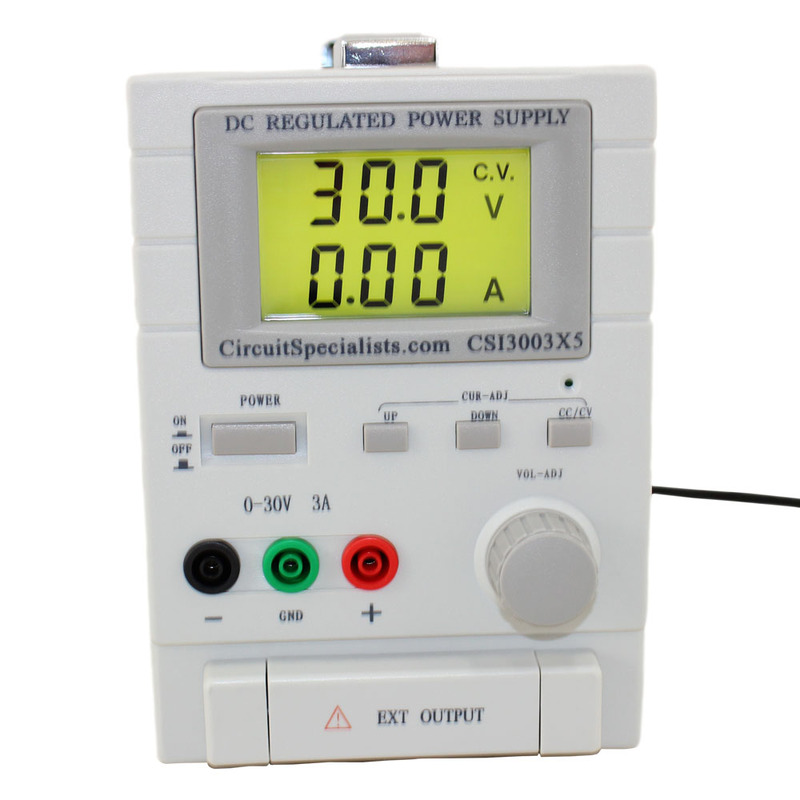 For more information, refer to the CSI3003X-5 DC Power Supply Owner's Manual. 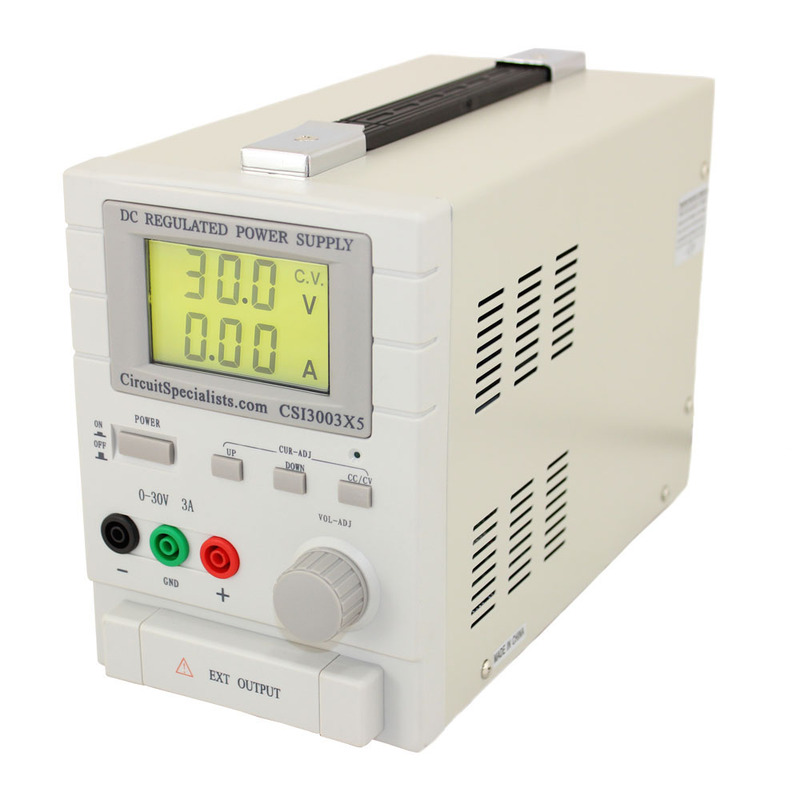 Check out the Circuit Specialists blog for a review of the CSI3003X-5 switching power supply.